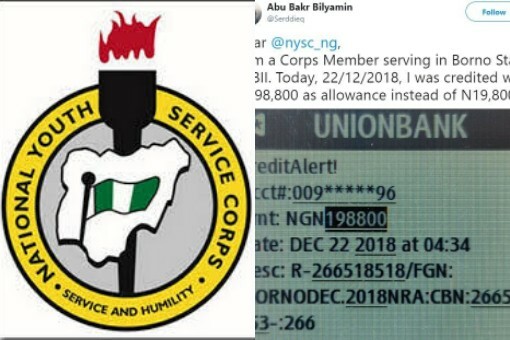 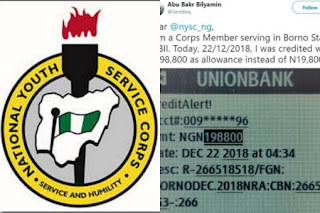 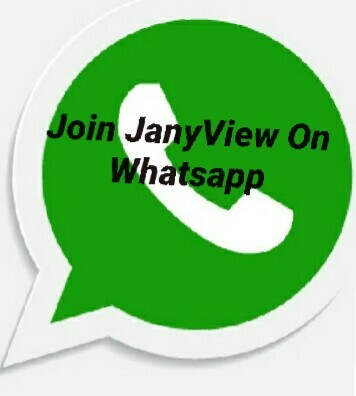 A honest Corp member serving in Borno state has drawn the attention of the National Youth Service Corps (NYSC) to the mistake they have made by paying him N198,000 instead of his usual N19,800 monthly allowance. Here’s what he wrote: "Dear @nysc_ng, I am a Corps Member serving in Borno state, 18Bll. 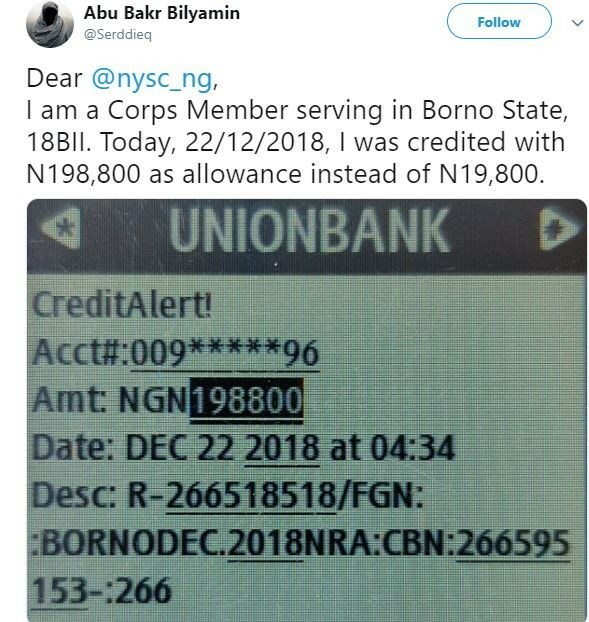 Today, 22/12/2018, I was credited with N198,800 as allowance instead of N19,800."